PUNE: British premium motorcycle maker Triumph is training its sights on India's smaller cities as it targets around 15 per cent of its total sales in the country from those markets next year. Aiming double digit sales growth for 2018, the company has also lined up at least four new product launches for next year, by when it will locally assemble 90 per cent of its products sold here. "Our target for next year is that 10-15 per cent of our total sales should come from tier-II cities," Triumph Motorcycles India MD Vimal Sumbly told pune-news.com. At present the contribution is around 7-8 per cent, he said, adding the spread of digital medium has helped in reaching out to a wider audience and expanding the market. Triumph Motorcycles India expects to end 2017 with sales of over 1,300 units, a growth of over 10-12 per cent over last year, Sumbly said. At present, besides major metros Delhi, Mumbai, Bengaluru, Chennai and Kolkata, Triumph has showrooms in Chandigarh, Ahmedabad, Indore, Pune, Jaipur, Kochi, Bhubaneshwar, Hyderabad and Jaipur. "We are also increasing our dealer network. By March 2018, we will have 17 dealerships, up from 14 at present. The target is to have 20 by the end of next year," he said. 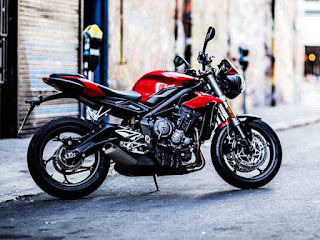 On plans for new launches, he said Triumph will introduce its Classic Cruiser in India along with a new Adventure range in the first and second quarters of next year. "As of now, the plan is to have four new products next year," Sumbly said. When asked about local assembly, he said, "Currently, 80 per cent of the models we sell in India are locally assembled. In 2018 this will be increased to 90 per cent." Some products, which are in very niche segment, will continue to be sold as fully imported units, he added. Triumph's portfolio includes high powered bikes such as the Rocket III, Speed Triple, Daytona 200, SuperSports Daytona 675R, Tiger 800 and the iconic Triumph Bonneville family, among others. The products assembled at its Manesar plant include Street Triple, Bonneville range and the Tiger 800 adventure tourer.